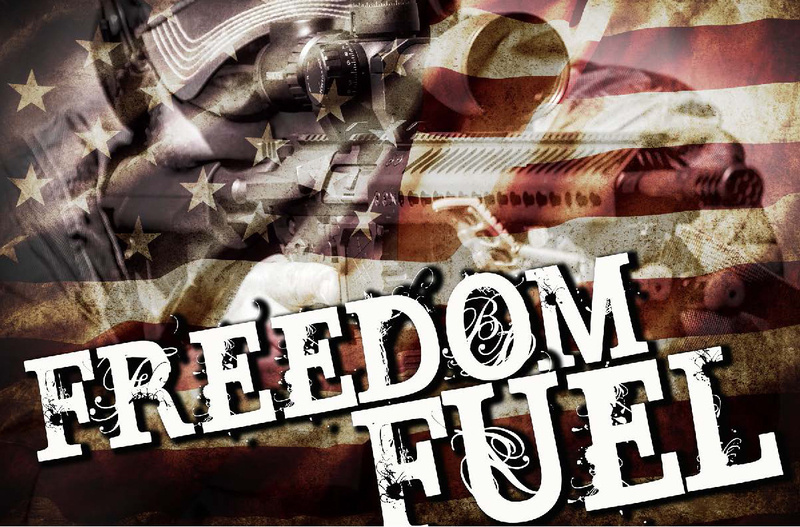 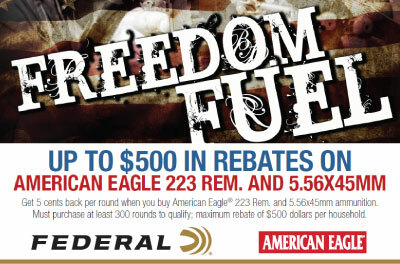 Get a $1 rebate on every 50 rounds of 9mm Luger centerfire handgun ammunition you purchase; receive $2 back on every 50 rounds of all other centerfire handgun ammunition from these participating quality brands: Federal, Speer, Blazer, American Eagle and Independence. 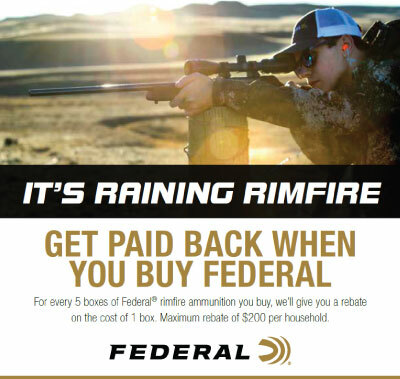 For every 5 boxes of Federal rimfire ammunition you buy, get a rebate on the cost of 1 box. 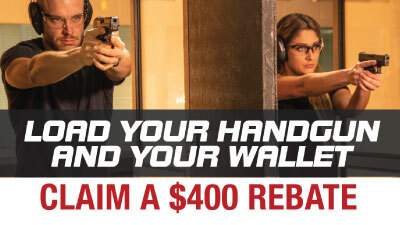 Maximum rebate of $200 per household.